Family owned and operated serving Central Texas for over 30 years. This Jeep includes: BLACK 3-PIECE HARD TOP Targa Roof Rear Defrost Convertible Hardtop TRANSMISSION: 8-SPEED AUTOMATIC (850RE) 8-Speed A/T Transmission w/Dual Shift Mode A/T TRAILER TOW Tow Hitch SIRIUSXM SATELLITE RADIO Satellite Radio BILLET SILVER METALLIC CLEARCOAT TIRES: 245/75R17 ALL SEASON (TQK) Tires - Front All-Season Tires - Rear All-Season ENGINE: 2.0L I4 DOHC DI TURBO ETORQUE 4 Cylinder Engine Gasoline Fuel Turbocharged *Note - For third party subscriptions or services, please contact the dealer for more information. * Want more room? Want more style? 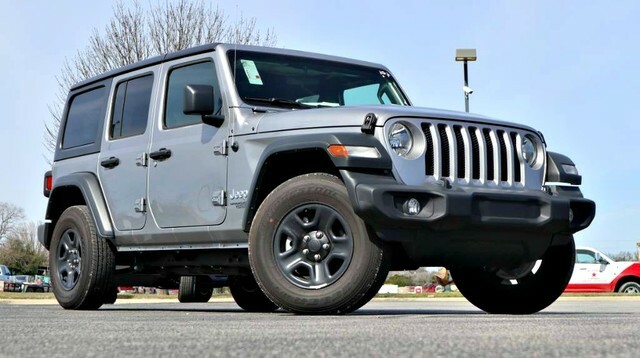 This Jeep Wrangler Unlimited is the vehicle for you. Want to brave the road less traveled? You'll have the 4WD capabilities to do it with this vehicle.